LIDS Clubhouse is a diverse, all-inclusive, industry leading team merchandising company for more than 25 professional sports team and organizations, and collegiate athletic programs. LIDS Clubhouse operates storefronts, e-commerce, and retail for game-day concessions and special events. Operating out of Indianapolis, Indiana, as a division of LIDS Sports Group, LIDS Clubhouse properties offer officially licensed sports apparel including team-specific headwear, apparel, accessories and novelties in the latest styles and colors. Some locations also offer custom embroidery capability. LIDS Clubhouse began as Sports Avenue in 1986. 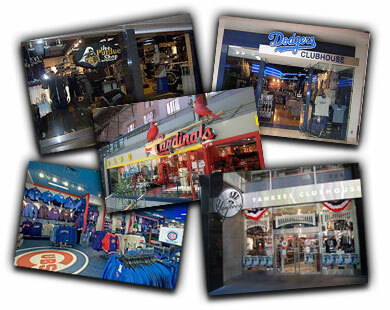 Sports Avenue grew to become an industry leader in overall team shop development and licensed team merchandising, and joined forces with LIDS Sports Group in 2010. LIDS Sports Group operates within Hat World, Inc. which is a subsidiary of Genesco Inc.